How long will Scott hold on to the top spot? If the projected rankings pan out, Adam Scott will play his first event as the world’s number one player at next week’s Crowne Plaza Invitational. 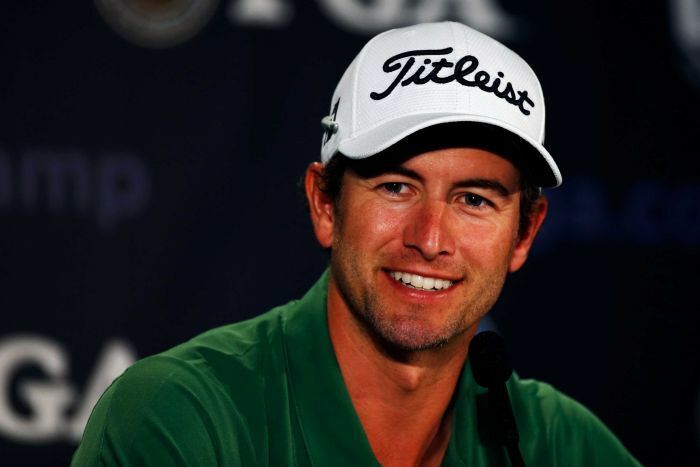 Scott has made several changes to his game that have catapulted him to the top. In late 2009, Scott began working on his swing with his brother-in-law, Brad Malone. In 2011, more changes came when he hired Steve Williams as his caddy, cut back on his playing schedule, and started using a long putter. The changes paid off with a win at the 2011 WGC-Bridgestone Invitational, a narrow miss at the 2012 Open Championship, and a victory at the 2013 Masters. Scott has experienced a very successful four years, and his latest achievement may be the beginning of something even greater for the thirty-three-year-old. When Tiger lost his number one ranking in 2010, it fueled a resurgence that led to eight wins between 2012 and 2013 as well as several chances to win his fifteenth major championship. Let’s hope Tiger comes back healthy, and we are able to enjoy a few showdowns for the top spot.